Le Royal Meridien Beach Resort and Spa is an award winning, five star hotel in one of Dubai’s top holiday spots. The newly refurbished hotel boasts 504 chic rooms and suites with views over the Arabian Sea or Dubai Marina. Relax in 19 acres of tropical gardens and step onto a private white sand beach lapped by turquoise waters. Children aged four to 12 can join the Penguin Kids’ Club and splash about in the dedicated children’s pool. Adults will love the state of the art fitness centre, Wilson Dubai Tennis Academy and Roman-style spa with a range of treatments. Other activities include beach volleyball, crazy golf and a range of water sports, including kayaking and windsurfing. 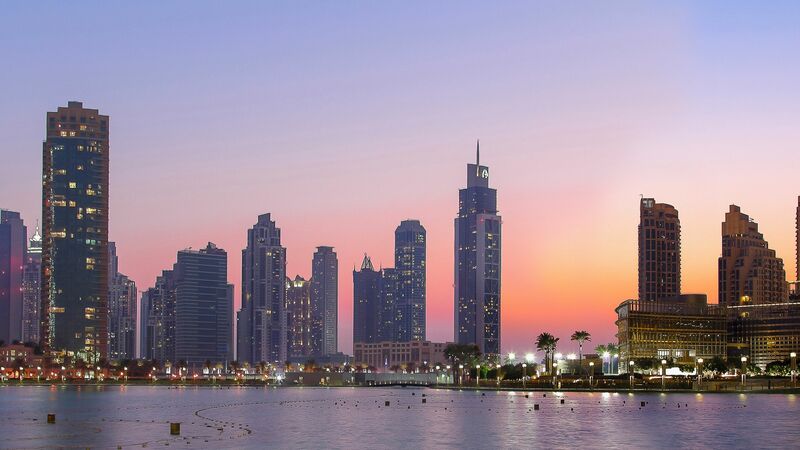 Arrange a day trip to nearby waterparks or Dubai city centre, or head out to the desert for a dune buggy ride. The hotel has 13 bars and restaurants serving world cuisine, from Mexican to Middle Eastern eateries. A range of hotel prices apply to ages 0–4 and 5–13 years. Set in the main lobby, Brasserie 2.0 serves extensive international buffets, as well as an à la carte menu. Try the Friday brunch or come for breakfast, lunch or dinner. There’s a smart casual dress code at Brasserie 2.0, reservations are required. 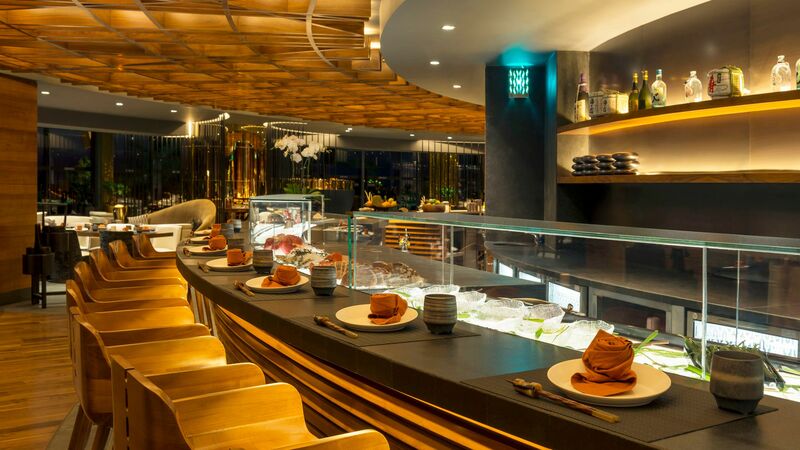 Dine at Zengo for authentic Pan-Asian cuisine. 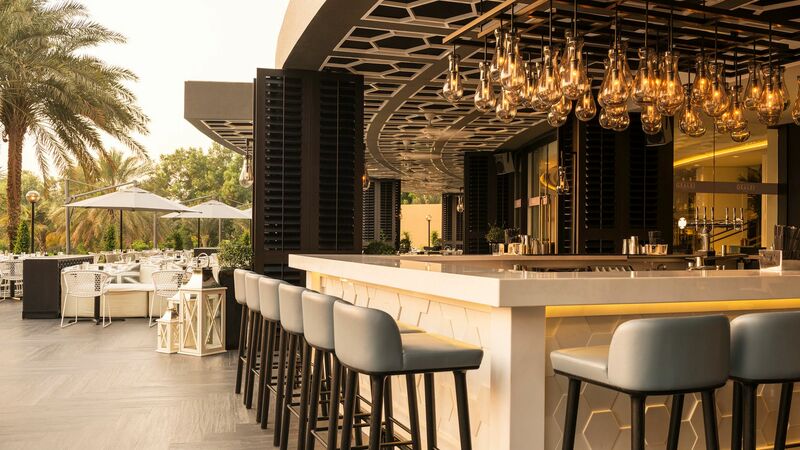 Choose from a full menu of drinks to accompany your meal on the terrace, while listening to the resident DJ. Zengo has a smart casual dress code, reservations are required. 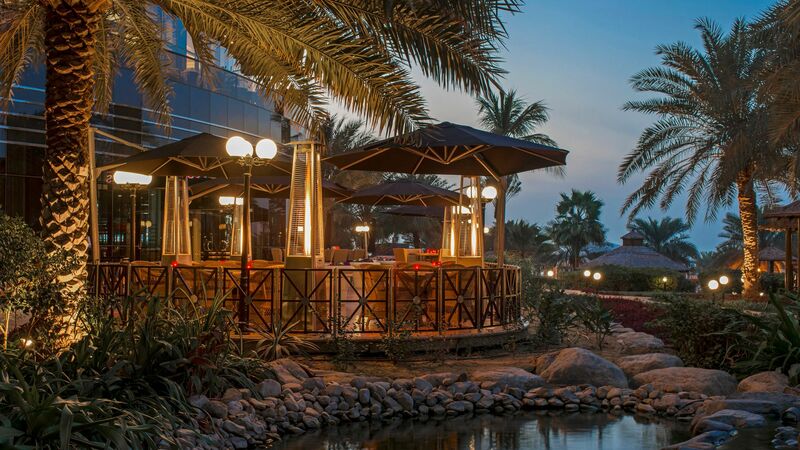 Al Khaima is located by the beach in beautiful gardens. Choose from a menu full of traditional Middle Eastern dishes, including mezzeh platters and Arabic grills, as well as shisha pipes. Open: 18:00 – 01:00, closes at 03:00 on Thursday and Friday. Al Khaima has a smart casual dress code. Reservations are required. This bright, airy lounge is located in the Arcade. Sit back and enjoy a selection of teas, coffee, cakes, pastries and light snacks. There’s a resident harpist and great afternoon tea selection. There’s a casual dress code for Al Murjan. Experience a taste of Latin America, with a menu inspired by the traditional dishes and flavours of Mexico. Try the sharing platters with family and friends, accompanied by cocktails. The restaurant is located in lush gardens. Open: 19:00 – 00:00, open until 01:00 on Thursday and Friday. Maya has a smart casual dress code, reservations are required. 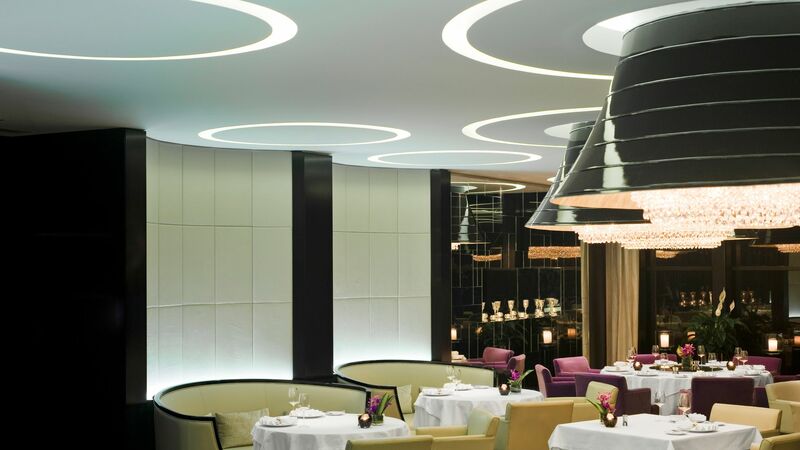 Rhodes Twenty10 is a modern steakhouse where you can enjoy prime cuts of meat cooked to perfection. Dishes are designed to share and the restaurant is located in the Club Tower Building. Open: 19:00 – 00:00, closed on Mondays. The dress code is smart casual, reservations are required. Shades is a stylish restaurant and sports bar which makes the perfect setting for a lively night out. There’s a large TV screen for streaming the latest sporting events and a menu of international favourites. There’s a smart casual dress code at Shades. Geales is a British themed restaurant which offers fresh, locally caught seafood. 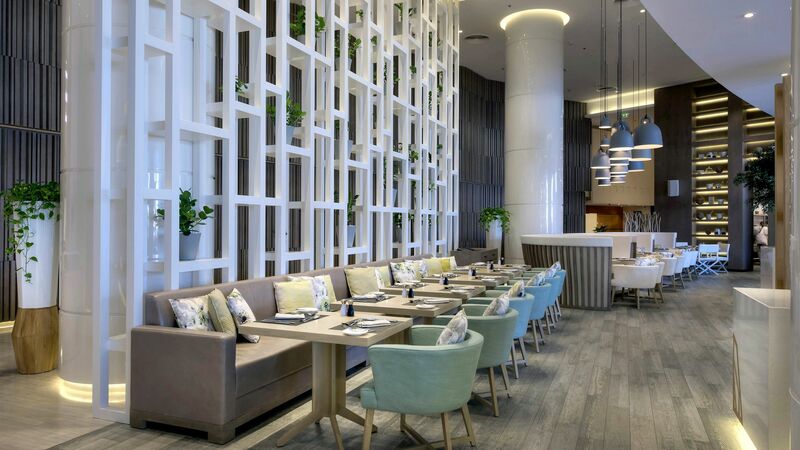 Dine in the sophisticated indoor lounge or outdoor terrace. Open: 19:00 – 00:00, as well as 12:30 – 15:30 on Friday and Saturday. There’s a smart casual dress code at Geales, reservations are required. 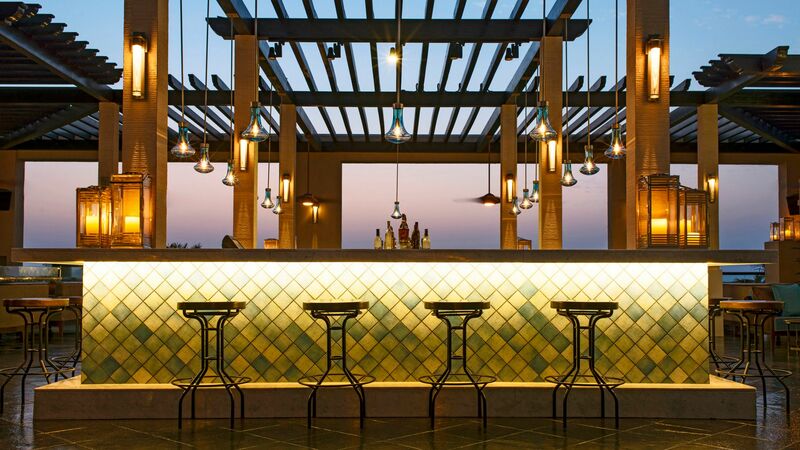 Guests can enjoy a number of bars, including Lattitude25, a relaxed lounge bar, and Le Deck, located in the gardens. Soak up the sun from a lounger on the hotel’s private 250 metre stretch of soft sand. The Blue Flag Jumeriah Beach boasts spectacular clear waters and has lifeguards on duty. There’s a dedicated swimming area, as well as a beach bar, water sports and a volleyball court. 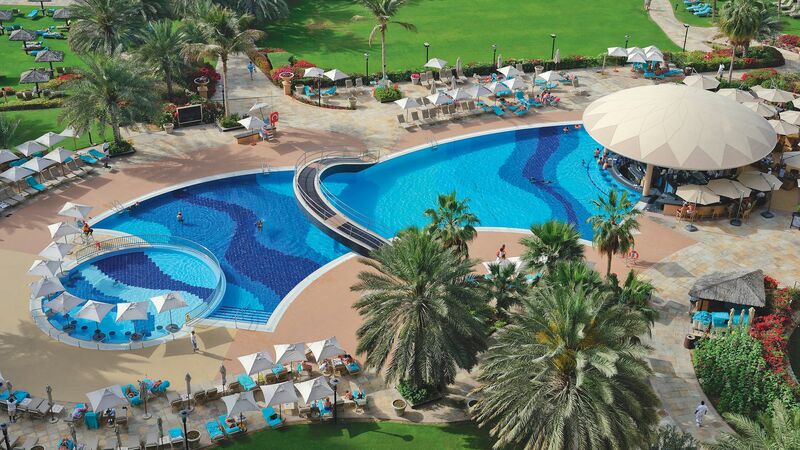 Le Royal Meridien Beach Resort and Spa has five temperature controlled swimming pools. Set in serene gardens, the main pool is 40 metres long and has a swim up bar, while the lower 25 yard pool has lanes for lap swimming. Cool off in the infinity pool, which also has a swim up bar for refreshing drinks. Kids have their own dedicated pool, as well as a smaller splash pool to play in. 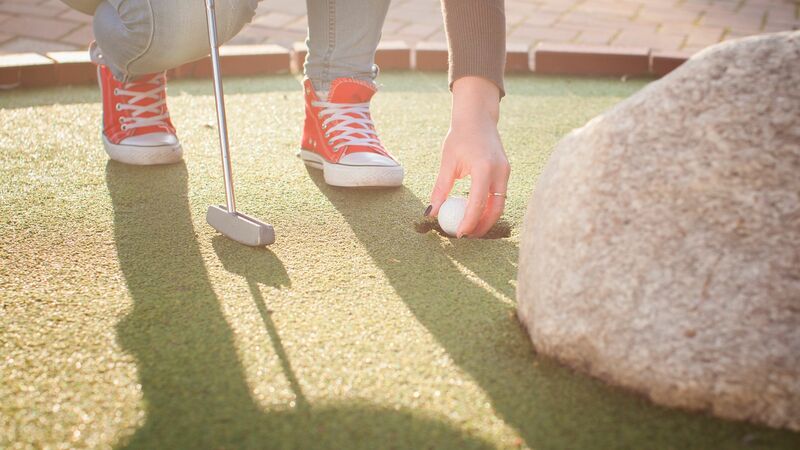 Let the children loose at Le Royal Meridien’s Kids’ Club. Trained childcare staff run a fun schedule of activities such as shell painting, sculpture making, donut rides and clay modelling. There’s also a playground complete with swings, slide, climbing frames and a see saw. Ages: 4 – 12 years. 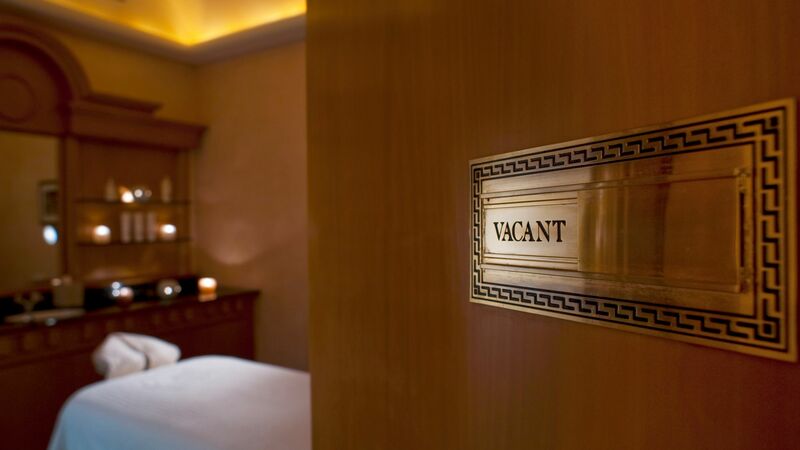 Treat yourself to some me-time at the Caracalla Spa. The Roman-themed spa has three floors with treatment rooms and specialises in holistic beauty and wellness treatments. Trained therapists can offer everything from massages to facials, body wraps and reflexology. There’s also a steam room to relax in and decadent Elemis and Pevonia products. Stay in shape with a visit to the fitness centre at Le Royal Meridien Beach Resort and Spa. Work out with a collection of weights and modern exercise machines. Sports facilities include tennis and squash courts, as well as beach volleyball and a nine-hole crazy golf course. 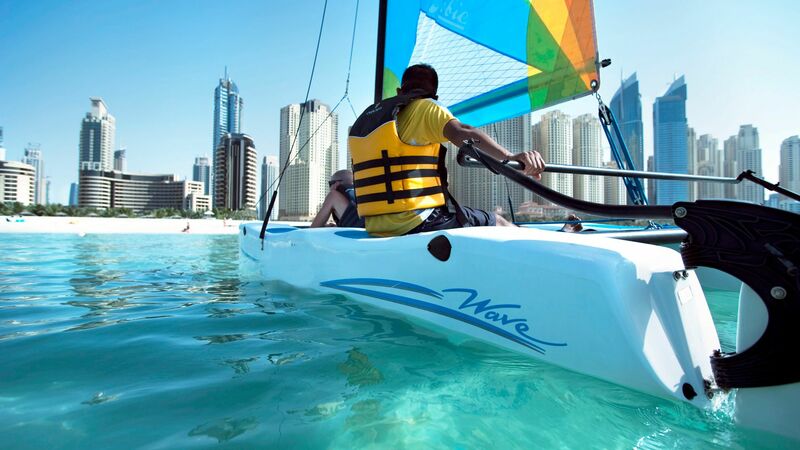 Try boating, water skiing, diving or windsurfing on the hotel’s private beach. 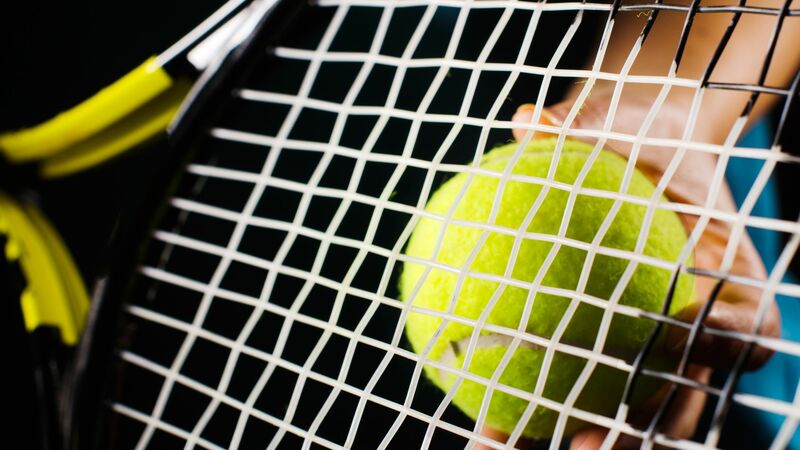 The Wilson Dubai Tennis Academy offers training for all ages and ability levels, with world-class instructors. The hotel can arrange trips around Dubai, nearby waterparks and desert safaris. Le Royal Meridien Beach Resort and Spa is set in Dubai’s exclusive Jumeirah Beach area. It’s ideal for those wanting to spend days simply lounging on the golden sands or trying their hand at some of the water sports on offer. To keep active on land, try tennis, golf or even desert treks where you can ride the dunes in a 4x4 before enjoying an authentic Arabian supper by candlelight. Take the monorail into Dubai City and you’ll find huge shopping malls, children’s centres and even a ski slope. When it comes to dining you can try almost every cuisine, while there are plenty of rooftop bars where you can sip cocktails as you watch the dazzling city below. 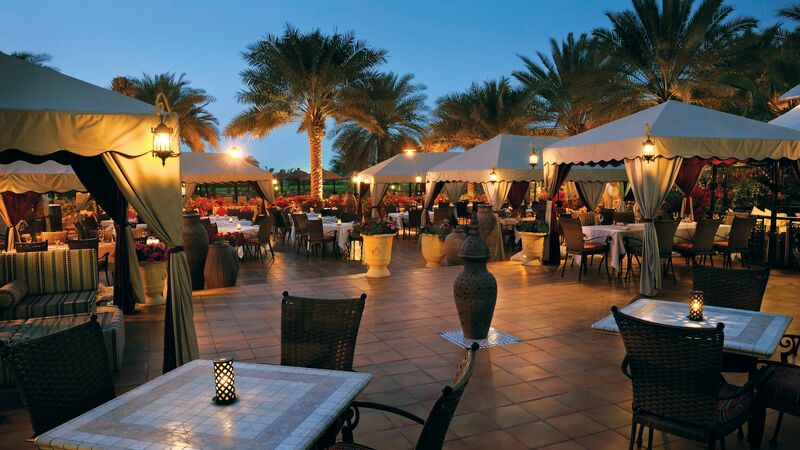 Le Royal Meridien Beach Resort and Spa is 30 minutes from Dubai Airport. Super Deluxe Land View Rooms measure approximately 38m² and are located in the main building with their own private entrance, lobby and reception. The rooms feature one double or twin beds, bath, shower, hairdryer, individually controlled air conditioning, satellite TV, safe, radio, minibar, daily newspaper and tea & coffee making facilities and most have a private balcony. Super Deluxe Sea View Rooms measure approximately 38m² and are located in the main building with their own private entrance, lobby and reception. The rooms feature one double or twin beds, bath, shower, hairdryer, individually controlled air conditioning, satellite TV, safe, radio, minibar, daily newspaper and tea & coffee making facilities. Royal Club Tower Rooms measure approximately 40m² and are located in Club Tower building. All rooms have balconies with partial sea views. The room features one double or twin beds, bath, shower, hairdryer, individually controlled air conditioning, satellite TV, safe, radio, minibar, daily newspaper and tea & coffee making facilities. In addition, guests staying in Royal Club Rooms have access to the Royal Club Lounge, serving breakfast, complimentary non-alcoholic refreshments, afternoon tea and pre-dinner drinks and canapés. Royal Club Tower Suites measure approximately 83m² and rooms have balconies with partial sea views. The room features one double or twin beds, bath, shower, hairdryer, individually controlled air conditioning, satellite TV, safe, radio, minibar, daily newspaper and tea & coffee making facilities. In addition, guests staying in Royal Club Suites have access to the Royal Club Lounge, serving breakfast, complimentary non-alcoholic refreshments, afternoon tea and pre-dinner drinks and canapés. “ The Best in Dubai. Everything is Super amazing; their hospitality is incomparable within this beautiful quiant hotel. 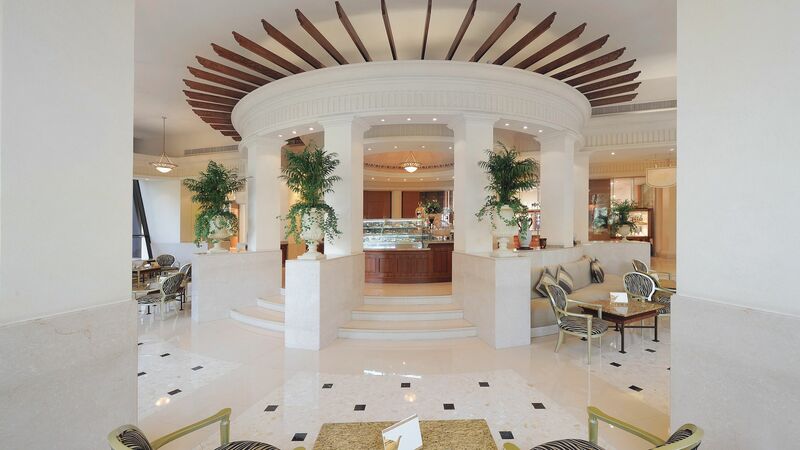 Food is Delicious whether on the pool, Brasserie, AlKhaima and the club lounge. Entertainment for all members of the family is beyond my expectations. Loved every minute and would definitely come again soon. We were surprised also by the Easter brunch activities; which we all participated in. My son said "Thank you mom; this is the BEST DAY of my life." The hotel has undergone extensive room refurbishment and the rooms are fantastic. There are many restaurants on site and even though we went at Easter time, we were able to eat very easily. The Brasserie is exceptional both in food and service! The pools are clean and well designed. The Spa pools are available for all guests and it was such a treat. Nothing was too much trouble for the concierge staff and every employee we met were courteous, friendly and efficient. There is enough room for everyone to have their own sunbed with shade and the location is perfect for the beach and the Marina. They organised a mini funfair for the children and hold football competitions for the kids in the clubs. There are lovely green spaces for your kids to kick about a ball, play table tennis or table football. The only issue we had was nothing to do with the hotel but with getting taxis as they frequently took us to the wrong Meridian hotel so make sure you know which one you're at! “ Yet again a faultless and amazing stay. We have been here quite a few times now and this hotel does not fail to disappoint. With 2 children aged 12 and 10 this hotel is absolutely ideal and we have already booked to come back. The vast green play areas, 3 pools and of course the amazing football facilities and training. Our daughter said during the holiday the reason she loved it so much is she feels safe and has met many lovely returning guests over the years. My son just loves the football here. They both had fun in the kids/teens club with the lovely Tara, Caroline, Faiza and Simon. The carnival was superb with great games and inflatables and prizes to be won which they loved, we have never made the carnival before and it was great fun. What makes this hotel though for all of us are the incredible staff. Eddy is second to none and his customer service skills are exceptional. He is always watching out for the guests and is a genuine and lovely person as is Roy. We met their colleague Sunando this time who another great asset to the team. We tried Indya which was lovely and saw the lovely Shegal who was extremely attentive. However, the Brasserie 2.0 is our absolute favourite and the kids always beg that we dine here so we do most of the holiday. The food is great with a great choice for both children and adults. John, Paul, Elidon, Kushi and Maria to name a few are fantastic. My son lived off the delicious bbq lamb shops and myself the king prawns! They loved the home cooked pancakes which were consumed for breakfast and dinner!!! The BBQ on Thursday is great fun and David was really lovely and played darts with our son for a bit which was so kind and lots of other guests got involved in the darts!!! We did however miss Arul round the lower pool and I heard several people say that. Although it was lovely to see him in shades bar as always a work horse making sure all the guests have a drink. Most of the guests we spoke to are returners and many have been coming for several years if not longer - that speaks volumes. Thank you all for a wonderful stay and we look forward to coming back.